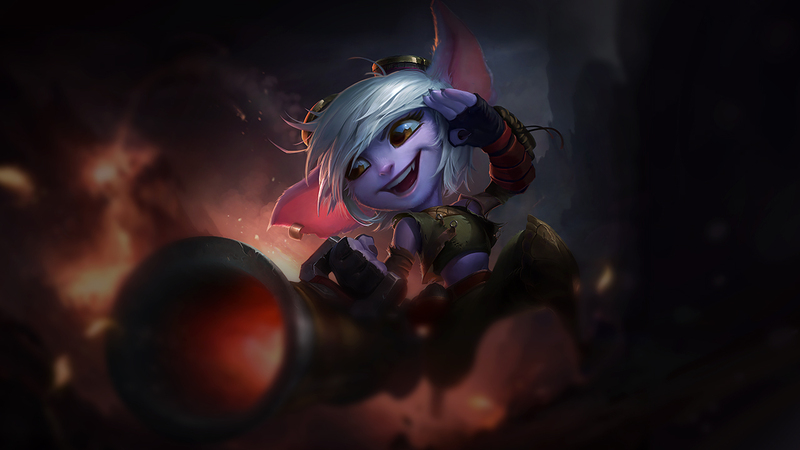 Tristana is a mobile hypercarry marksman with an extreme hatred for enemy towers and anything near them. She annihilates structures quickly, and in the late game, annihilates champions even faster. She has continuously growing range and the ability to peel for herself using her ultimate. Despite all of these strengths, she does have some weaknesses that I'll teach you how to exploit to bring her down. 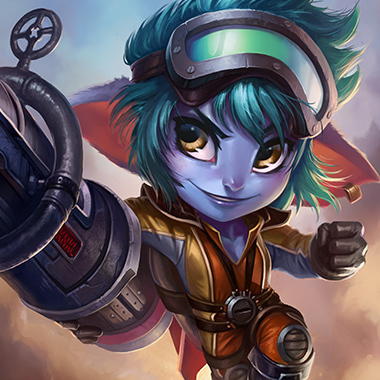 Tristana's jump is coded as a dash, any CC that hits her will still be activated, and will cancel the jump, such as Thresh's Flay or Blitzcranks Rocket Grab. 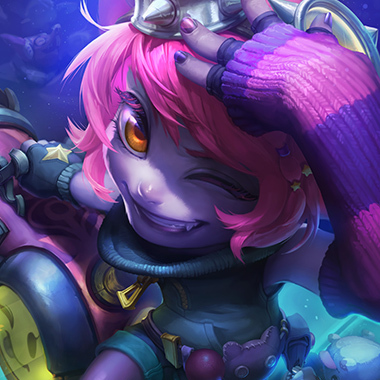 Tristana has a rough time farming under turret thanks to her E's passive, if you can push her under her turret you can get an easy CS lead. 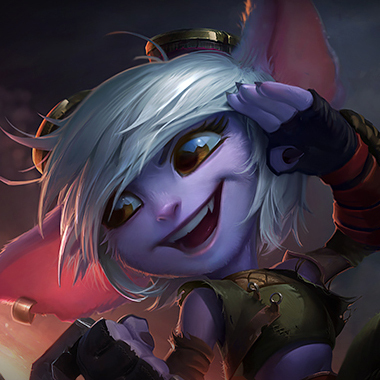 Alternatively, Tristana passively pushes, so if you want to let her push, you can easily set up ganks on her by correctly timing your CC. If you have the health, and your tower has the health, you can stand near the explosion of her charge to take some damage and cause the tower to target her, this is especially good for setting up ganks, as most Tristanas will burn their jump to get out of range. Ah, I hate using this guy. He feels like a band-aid "Can't think of a Counter? 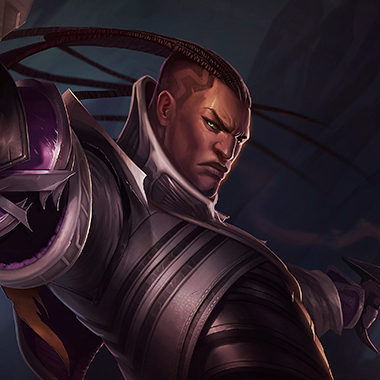 Use Lucian, he can do anything." 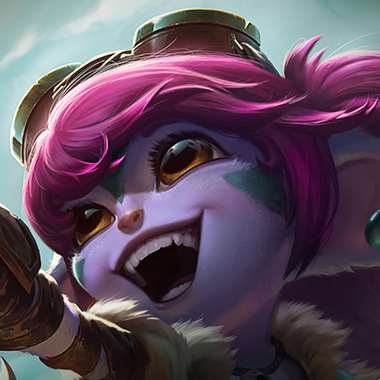 All that aside, Lucian can be a strong pick into Tristana, as long as he times his aggression correctly he can do extreme burst to her and send her packing. She gets outscaled very late, but early, you can dominate her. You outrange her something serious, and can push her under her tower without much effort, forcing her behind in CS and pressure. 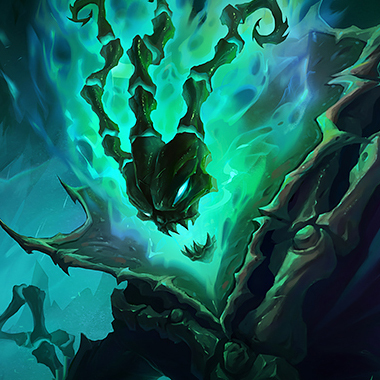 Thresh can just deny her any chance of escape. Flay or hook her out of her jump and box her in. 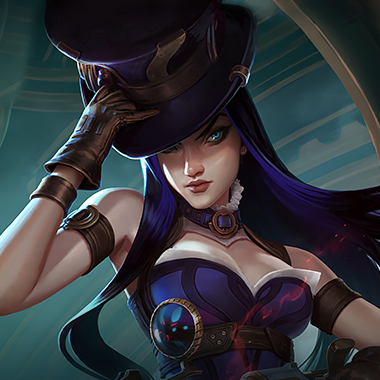 Pull in your jungler and flay her as she begins her jump, pull in your midlaner to join the party instead, as long as you have the timing to flay her, you have nothing to worry about. Armor and Health is important, Frozen Heart is a great pickup, as it'll slow her attack speed from her Q. Otherwise Randuins is a great pickup or Thornmail, if you have the health pool for it, since all of her damage comes from auto attacks.